We understand what your new home means to you being home owners ourselves. You work hard during the day looking forward to coming home to a stress free space where you can settle in on the couch for a family movie or read your children a bedtime story without the stress of issues around your home. At Unique Home Concepts we pride ourselves on establishing an ongoing relationship with you from day one allowing you to feel confident when working with your service team. We look forward to the excitement that comes with the first introduction to your finalized home! In order to ensure that your home is exactly as you dreamed it would be and to truly establish the relationship between you and your service team, we meet with you in your beautiful home one week prior to your possession date. This is designed to acquaint you with your new home and ensure you are knowledgeable of its systems and structures, regular maintenance schedules or operating instructions in and around your home. You will have the opportunity to enquire about any aspects of your home that you previously didn’t consider as well as any last minute details that are in the works of being tended to. The day has finally come for us to welcome you into your Unique Home and proudly pass you your new set of keys! Your Service Manager will walk you through all the warranty details of your new home ensuring that you feel comfortable in asking any question that you may have. They will encourage you to call them whenever necessary and to assure you that the longevity of your home is of the upmost importance to us. After living in your new home for one month your Service Manager is scheduled to come to your house and take a tour with you. This will give you the opportunity to explain any issues that you may have noticed over the past month and to point them out to your Service Manager. Having this meeting directly in your home will allow you the peace of mind that your Service Manager can see the issue for themselves in order to fully understand what needs to be done to take care of the issue efficiently the first time. After your home has been introduced to all of the seasons your Service Manager will come meet with you to discuss how the last year has been. At eleven months, just prior to your one year anniversary, they will take one last tour through your home where you are encouraged to list anything that may have shifted or changed since your last meeting. We like to meet with you prior to your one year anniversary to ensure that everything is taken care of within a timely fashion. 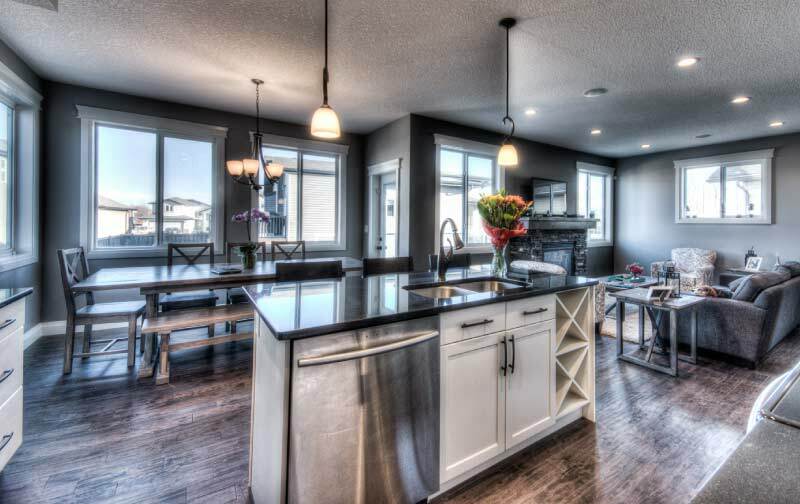 We are proud to be a part of the Alberta New Home Warranty Program. This is a company that has been in business since 1974 and is currently Alberta’s largest home warranty provider serving approximately 700 builder members who are required to meet stringent standards.